The revolutionary new engineering facility promotes collaboration through innovative workspaces, shared resources and common causes. Before we can build the future, we must reimagine today. This was the thinking behind the construction of the Myhal Centre for Engineering Innovation & Entrepreneurship, a new facility built for the University of Toronto’s Faculty of Applied Science & Engineering that opened in April 2018. Designed to amplify four key attributes central to the engineering mindset—interdisciplinary collaboration, experiential learning, leadership, and entrepreneurship—the centre features technology-enhanced active-learning spaces, fabrication facilities for curricular and co-curricular design projects, and space for student clubs and teams to meet, share ideas and create. The striking building was named in honour of two of the Faculty’s most dedicated supporters: George Myhal (BASc 1978, Hon LLD 2018) and his wife Rayla. The Myhals’ generous gift is a fine token of the opportunities George received as an immigrant from Ukraine, as well as a way to give back to the University that offered him a head start on his career. 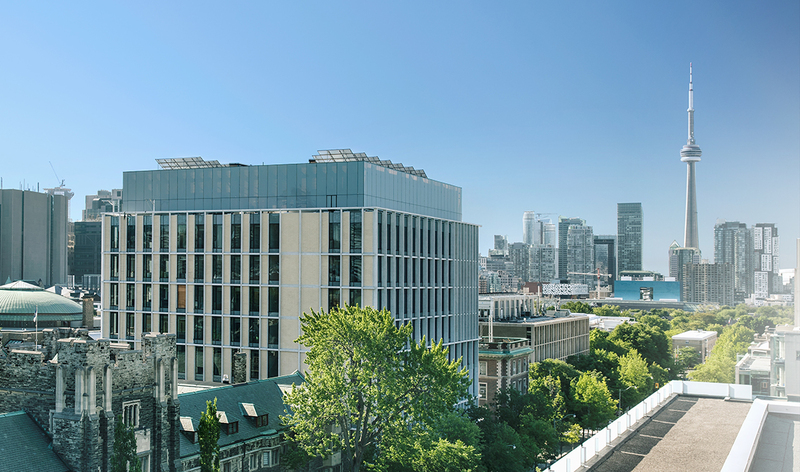 In addition to providing a collaborative space for students, the St. George Street site will create homes for the Centre for Global Engineering, the Institute for Sustainable Energy, and the Institute for Water Innovation. With diverse disciplines represented under a single roof, the Centre will become an incubator for innovation, allowing teams to share resources, facilities and expertise. The Centre’s revolutionary design itself fosters creativity through dynamic and flexible work environments that encourage communication and eliminate barriers to collaboration found in more traditional siloed spaces. Many other alumni and friends contributed to the new facility, including alumnus Henry Wu (BASc 1975, MASc 1979), who gave $3.5 million to build the Dr. Woo Hon Fai Innovation Floor, housing the Institute for Sustainable Energy and the Institute for Water Innovation. U of T Engineering students, via the Engineering Society, gave $100 each to make a $1-million contribution towards the student club space, which features labs, offices, lockers, an “arena” meeting space, tech equipment and project rooms for student startups. Lee Lau (BASc 1977, MEng 1982) and Margaret Lau also made significant contributions that named the 500-seat auditorium in their name.